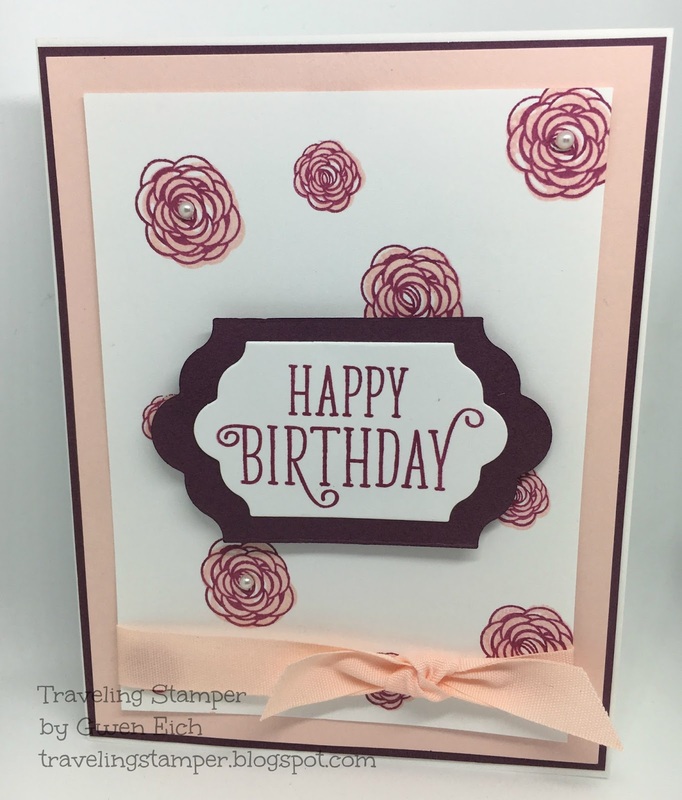 Another quick and easy card with a few of the new colors. I used Fresh fig along with powder pink. I just love the new pink ribbon. The flowers are from Happy Birthday Gorgeous and Happy Birthday is from the same set. I used the dies from the Layer die cuts. Thanks for stopping by and hope you enjoy. If you would like to order any of these products stop on over to my page.